Cherrie and Bianca Brackenridge with daughter Sanije Stewart Brackenridge. TWO indigenous Townsville women are taking their culture across Australia, shipping their clothing range to all corners of the country. BRACKS indigenous Clothing began as a hobby for Townsville Hospital indigenous liaison officer Bianca Brackenridge several years ago but has since turned into a booming business. "In 2013, I was working for a youth service and they asked me to make shirts for our staff," Ms Brackenridge said. "Within 12 weeks I had over 1300 orders from NAIDOC Day at Riverway in 2013. "I started getting people ringing me from all over Australia and business just took off from there." 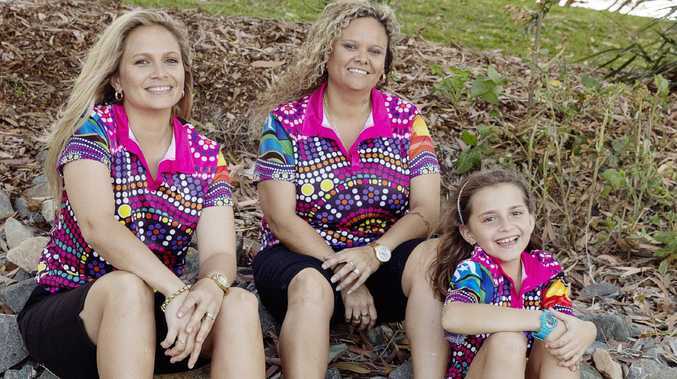 She met her life and business partner Cherrie Brackenridge in 2014 and the couple have since designed indigenous singlets, polos, hoodies and T-shirts while working full-time jobs. The couple are of Australian Aboriginal & South Sea islander decent. "We also celebrate the three flags - a lot of people only celebrate Aboriginal and Torres Strait Islander, but we celebrate the South Sea islander flag as well," Ms Brackenridge. "We went over to Port Vila three years ago and everyone just wanted our Vanuatu South Sea design and Australian South Sea design." BRACKS indigenous Clothing is currently stocked in Ayers Rock Souvenir Shop, as well as shops in Innisfail and Tennant Creek. 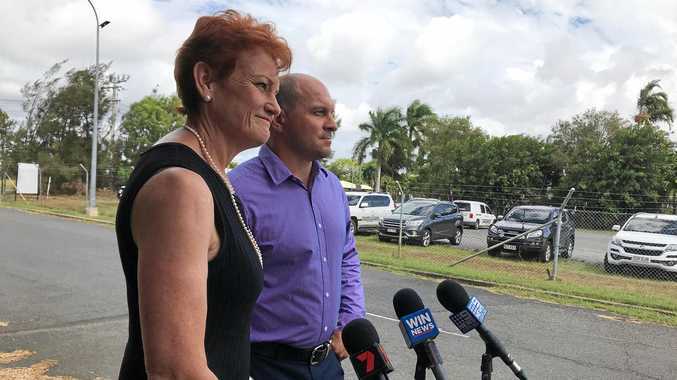 The pair have received bulk orders of 400 to 500 shirts from the Queensland Government. "Queensland Probation and Patrol, Queensland Education and Queensland hospitals - we actually get massive bulk orders from services," Ms Brackenridge said. Order requests for personalised clothing for medical centres, schools, sporting teams, family reunions and tombstone openings are also common. "We're making our tracks and leaving footprints within all our communities in every state," Ms Brackenridge said. "When I see non-indigenous people wearing our designs, there is one big word - reconciliation." She estimateed BRACKS would sell about 1000 shirts this month during NAIDOC Week.